Renowned as one of Europe’s best Research Universities, the University of Twente offers you great career opportunities through its industry contacts and work placements with well-known global companies. At the University of Twente, you’ll benefit from the university’s close industry contacts and gain access to work placements with well-known global companies including Google, Philips, Boeing and Siemens. You’ll also be studying on the same campus where over 130 start-up companies are based. The University offers research and degree programmes in the social and behavioral sciences and in engineering. In keeping with its entrepreneurial spirit, the University is committed to making economic and social contributions to the region of the Netherlands where it is based. 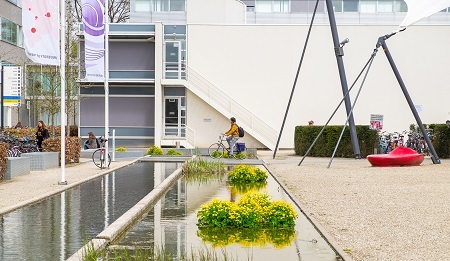 There are five Faculties at the University of Twente: Behavioural Sciences, Management and Social Sciences; Engineering Technology; Electrical Engineering, Mathematics and Computer Science; Science and Technology; Faculty of Geo-information Sciences and Earth Observation. In 2016 Times Higher Education World University Rankings ranked the University of Twente 149 overall in the world. Also, the University was ranked 73 overall in the world in the field of Engineering and technology. 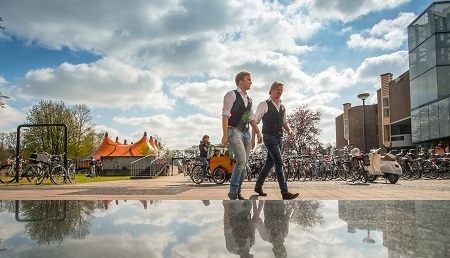 The university also holds the title of the most entrepreneurial university in Netherlands and was voted the best Dutch university in the area of valorization. Among notable alumni of Twente are Bas Lansdorp Co-founder and CEO of Mars One, Jaap Haartsen, Inventor of Bluetooth, Geert-Jan Bruinsma Founder of Booking.com, Dirk-Willem van Gulik Founder of the Apache Software Foundation. 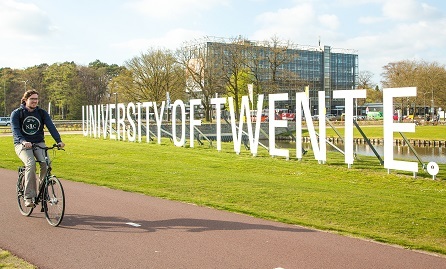 The degree programmes at the University of Twente range from business administration, psychology to applied physics, engineering and biomedical technology. Most students combine coursework in their major subject with a coherent set of minors in another discipline. A growing number of foreign students are finding their way to the UT. Almost all postgraduate programmes (and several undergraduate programmes) are taught in English. It should be noted that UT has a world class research programmes in the applied sciences, the emphasis is on nanotechnology, process technology, engineering, information &amp; communication technology, and the biomedical sciences. By providing your details you are consenting to University of Twente sending you information about the university that is relevant to your interests, such as: courses and subjects, events, funding, student life, accommodation and careers. University of Twente will never sell, rent, or give away your data for third-party marketing, however they may work with partner organisations to send you relevant information about University of Twente. The university has a main campus in the east of the Netherlands, midway between the cities of Enschede and Hengelo. All departments are situated on the main campus apart from the Faculty of Geo-Information Science and Earth Observation in Hengelo. Most international students arrive in the Netherlands via Amsterdam Airport and then take a bus to get to the campus.